The WHO Classification of Tumors of the Urinary System and Male Genital Organs and updates by the American Joint Committee on Cancer are reference points for this extraordinary interactive microscopy course that explicates emerging concepts in the context of these classification/staging systems. 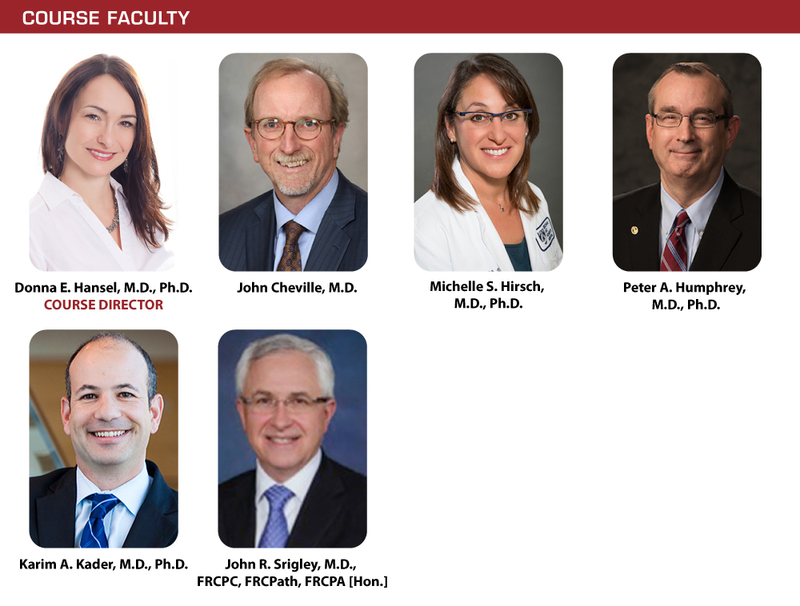 The superb faculty are internationally recognized for their expertise in urologic pathology; collaboration with one of the most experienced surgeons in the United States performing robot-assisted radical cystectomy and urinary diversion for patients with bladder cancer provides an open, practical dialogue between clinician and the pathologist course director. This is an intimate experience that will change how you think and perform. The United States and Canadian Academy of Pathology designates this enduring material for a maximum of 13.5AMA PRA Category 1 CreditsTM. Physicians should claim only the credit commensurate with the extent of their participation in the activity. The USCAP is approved by the American Board of Pathology (ABP) to offer Self-Assessment credits (SAMs) for the purpose of meeting the ABP requirements for Continuous Certification (CC). Registrants must take and pass the post-test in order to claim SAMs credit. Physicians can earn a maximum of 13.5 SAM credit hours. Purchase the entire course and save - USCAP Members and Trainee Members, sign-in to save an additional amount!